Bonus Terms: 400% bonus will redeem with any deposit you make of $30 or more when redeeming coupon code CASINO400. 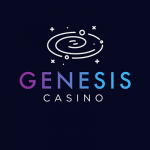 This bonus comes with a 30X wagering requirement (60X for table games and video poker), based on the amount of your deposit plus bonus, and no limits on how much you are allowed to withdraw. Bonus amount is considered non-cashable and will be removed from the amount of any withdrawal requested while using this code.